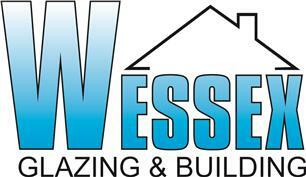 Wessex Glazing and Building Ltd - Builder, Fascia/Soffits/Guttering, Windows/Doors/Conservatories based in Bournemouth, Dorset. Welcome to Wessex Glazing and Building, a family run building and double glazing company based in Bournemouth, serving Dorset and the surrounding areas. Specialising in extensions and conversions through our large team of tradesmen we cater for all requirements with an aim to provide you with a high quality works for your home adjoined with a customer care service that is second to none. Backed by our professional office team no job is too small, we take on all building and window repairs such as hinges, double glazed units, brickwork and plastering utilising our trades to do those jobs that others don't want to. Get in touch today to get a FREE NO HASSLE quotation, either over the phone or at your home. We will take measurements, present you with possible ideas, give you professional advice to help ease your decision and then leave you with your quotation but most importantly at an affordable price.